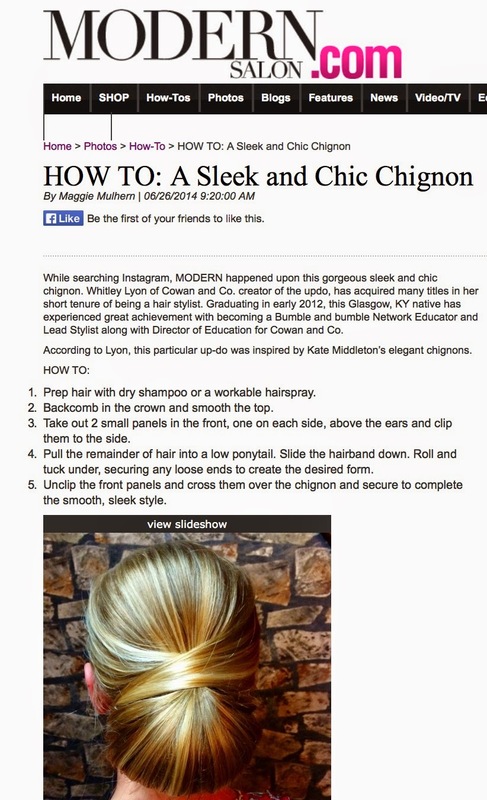 News: Modern Salon Features Whitley's "Sleek and Chic Chignon"! Modern Salon Features Whitley's "Sleek and Chic Chignon"! Elegant, sleek and timeless–these words describe Whitley's inspiration when working with Modern Salon recently! Look no further, Whitley worked to give MODERN the "HOW TO". Be sure to read the full story here!